If you’re planning a city break to liven up the dull slog of the remaining winter, Moscow should be one the first options on your list. A city that’s set out its stall to prove to the world Russia is a vibrant, modern city that’s open for business and tourism. Today we’re taking a look at one of the highlights: Moscow’s Museum of Modern Art. Founded in 1999 by the president of the Russian Academy of Arts, Zurab Tsereteli, Moscow’s Museum of Modern Art is the place to go to learn the story of Moscow, and Russia’s art history. It’s a story that has been interrupted and obscured in Europe and America. 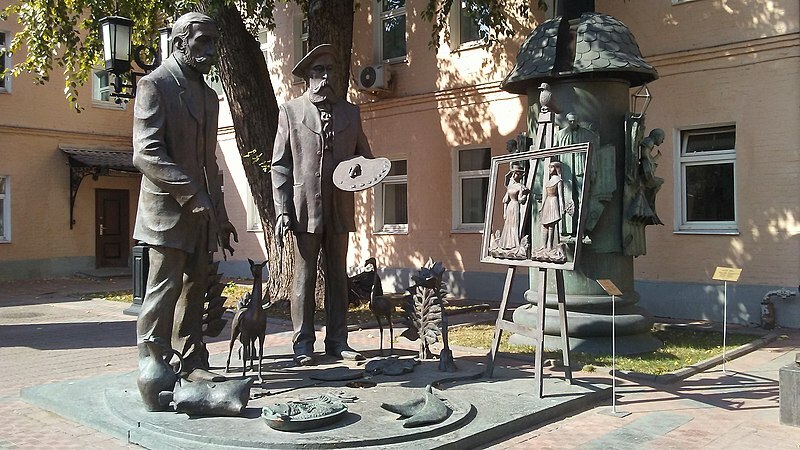 When Russia become the heartland of the USSR, the connection between European and Russian art became harder to maintain though some – not least Tsereteli himself – made huge efforts to maintain cultural links across the Iron Curtain. The location of the museum is itself an imposing work of art – a neoclassical mansion designed and built in the 18th century by Matvei Kazakov. It sits on Petrovsky Boulevard in the heart of Moscow, both geographically and culturally. The heart of the museum’s catalogue is drawn from Tsereteli’s own collection – both of his own work and the artists he admires. As he’s been one of the central figures of the Moscow art scene for almost his entire career, this means he’s the ideal choice to curate a selection that tells the story of Russia’s art in this period. As well as the cutting edge of modern art, the museum maintains a collection showing how dissenting artists explored and reacted to the authority of the Soviet government – it’s a vital, and exciting selection of work and any one of the pieces on display could have had serious repercussions for the artists who created it, the curators who displayed it and the people that viewed it. In 2003, the Museum expanded to a second location – a display hall, also in the centre of Moscow. This has given the institution both the space and zeal to host more special exhibitions – check their calendar of events to see what’s on when you visit and make sure you don’t miss out. Moscow’s Museum of Modern Art is celebrating its 20th anniversary this year, so there has never been a better time to visit. Make sure it’s top of your list when you’re planning your next city break holiday.